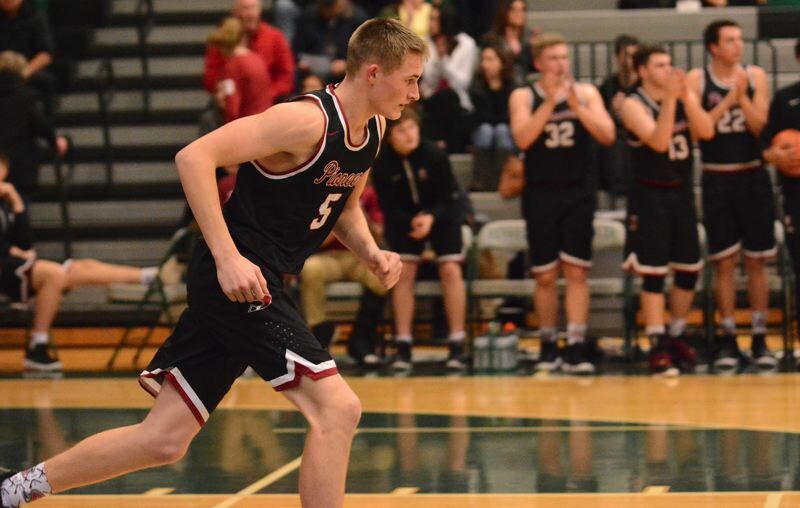 The Sandy boys basketball team turned back a third-quarter challenge by Reynolds to pick up its second league win of the year 74-53 on the road last Friday. 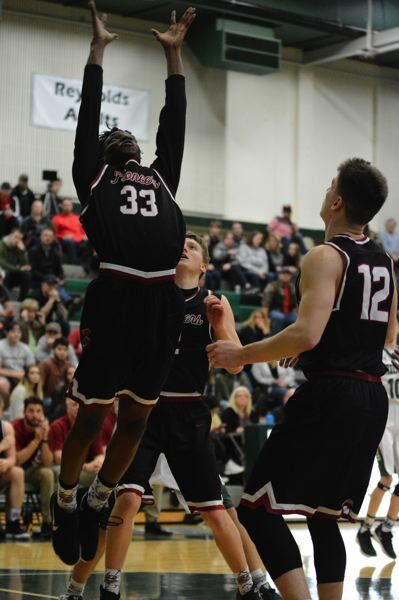 Pierce Roeder knocked down a 3-pointer from the top of the arc to give Sandy a 14-point lead only to see Reynolds play its best stretch of the game to whittle the margin to four after center Sterling Bell hit a corner 3 late in the third quarter. Teammate Hunter Murphy buried an open 3 out of the corner, and Gorski swiped a steal and zipped the other way before passing through the lane to Colby Carson. He made an emphatic jump stop to get past the last defender and reach the rim for a 64-48 lead as the clock ticked under three minutes. The rest of the way was about finding opportunities for Sandy's second unit. Roeder highlighted that process when he curled off an open path to the basket, dribbled back outside the arc and whipped a pin-point pass through the lane to feed Nolan Johns for a layup. The Pioneers put 12 players into the scoring column. 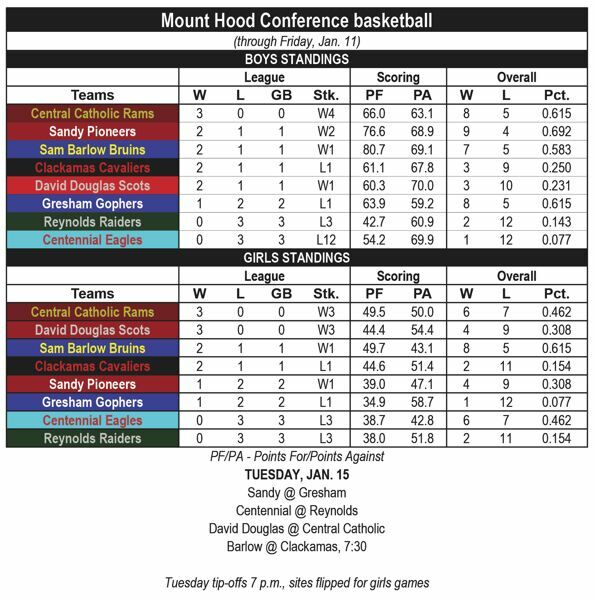 Sandy (9-4) entered the week in a five-way tie for second place in the Mount Hood Conference. "Our offense is going well, and we're putting together a good season so far," Gorski said. "That has helped us get even more motivated." This story is slated for our Jan. 16, print edition.